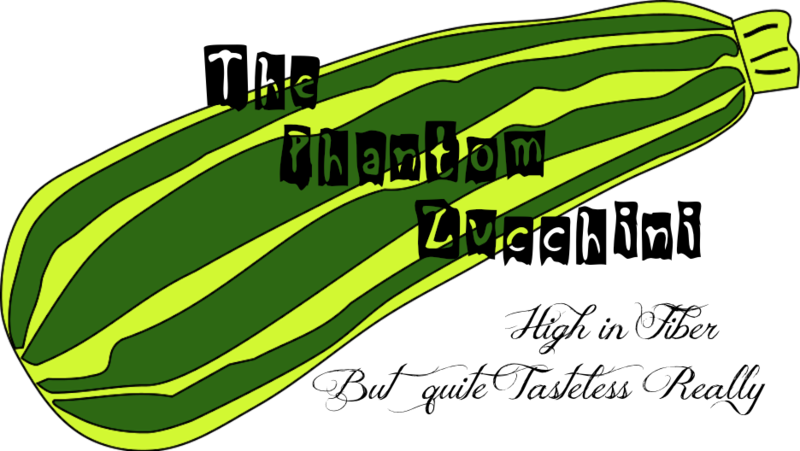 The Phantom Zucchini: You Don't Have to Feel Embarrassed for Me. It's Already Been Taken Care Of. You Don't Have to Feel Embarrassed for Me. It's Already Been Taken Care Of. I read a post on someone's blog once, where she mentioned something about being embarrassed for bloggers who write about their mothers. At first, I did what I usually do, making sure the aluminum foil shield was securely in place over the little black dot on the top of my computer screen and then I felt....well, embarrassed because really she shouldn't have to be embarrassed for me. I am perfectly capable of being embarrassed all by myself, thank you very much. I've had, in fact, many years of experience dealing with this particular emotion, most of it caused by my mother. I'm sure the woman who wrote this had one of those Betty Crocker moms who cleaned and baked and joined committees and signed up to chaperone field trips. You know the kind of mom who gets up before noon, who doesn't completely ignore any attempts to persuade her to leave the bed, who doesn't pull the covers over her head when a group of bulls (escaped from the local bull farm) are standing outside her bedroom window, their faces pressed up against the glass, their expressions indicating that they too, are unable to believe she isn't up and around yet. I bet her mother didn't spend all the food money on Jackie Kennedy lookalike clothing while her kid walked around looking like The Little Match Girl, or a red haired version of Julie Andrews (as a nun) because Millie, of Millie's House of Style gave her a bad summer hair cut but - on the upside, now combing the snarls out of her daughter's hair was yet another chore scratched off the list, leaving more time to entertain the bulls. I bet her mom never walked around for over a week wearing a cheap rhinestone crown she received after winning a very small town version of the Miss America pageant, wearing it everywhere - even to the supermarket, when at that point her very young daughter (who was quite familiar with pageants rules for some reason) asked her how much longer she was allowed to wear it and she replied "two weeks," as if there was a real rule about how long Miss Small Town could reign. Forever, as it turns out. You know what? I bet that woman had a mom who bought good candy on Halloween, you know, like Hershey bars and Snickers and Milky Way Bars, the kind kids never trade or share with their little brother. I bet her mother never told her daughter to give out potatoes when she ran out of no-name sale candy from Woolworths, forcing her daughter to develop her patented "silent placement technique" in which the potato, much heavier than a Snicker's bar, could be placed skillfully and carefully in the treat bag without its weight causing anyone to even suspect what just happened and the secret would be safe until much later when all the lights were turned off, officially putting an end to Halloween for another year. Would her mother buy her a white bathing suit that had a faux red banner across the front that said "Future Miss Universe" and still allow her to wear it despite the fact that when it got wet it was completely absolutely see-through? I don't think so. Would she let her daughter cake dark blue eyeshadow on her lids and bright orange lipstick on her lips and then allow her to go out in public without even attempting to take some of the clown out of it? Doubt it. Would she give her boyfriend some money, ask him to run out to get a loaf of bread and when he returned notice that the change he gave her was short a quarter and then make him go outside in the dark and search for it the driveway? No. No. No one does that except My Mom, the Evil Queen The Queen Mother of The House of Tiaras and you know what? Others can be embarrassed for me as much as they want. Hey! Knock yourself out, all you do-gooders out there who feel so very sorry for me while wearing sad, smirking expressions on your plastic faces, because my mother is The Evil Queen The Queen Mother of The House of Tiaras and she still reigns (because she comes from the Order of Those Who Do Not Die Easily) and she will make feature appearances on this blog, and this blog ONLY (I made her sign a contract, but in her condition it probably won't hold up in court) and pretty soon when I am famous you won't have to feel sorry for me anymore until I develop a drug habit that will take over the embarrassment duties once handled by my mother. And I will live happily ever after. And you people who feel sorry for me? Well don't. 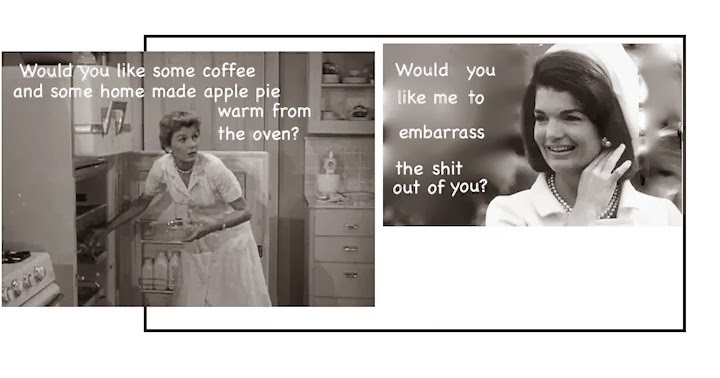 You should feel sorry for yourselves because you will never have any Mom stories to tell unless you make them up because you have boring stupid good mothers. Anyone can have a good mom. There's nothing special about that. I mean think about it. Aprons or Tiaras? What's more interesting? Yeah, that's all I'm sayin'. In fact, I am beginning to think more of my mother all the time, especially in the last 20 minutes it to to write this post. I think I'm going to change her title from Evil Queen to Queen Mother, of the House of Tiaras. And don't try to steal my mother either. She's old and doesn't remember much so I know she is vulnerable to those who might want to steal her and get some good embarrassing stories out of the whole ordeal, but honestly, you won't last two hours. No story is worth that, trust me. Besides, Mr. T is her bodyguard, and he's just looking for some more fools to pity. Don't give him a reason to put more gaudy jewelry on. I bet she took a photo of you in that outfit and it's proudly displayed in some album created to embarrass you for years and years. Your tiara-wearing mom sounds like a character! You are so blessed. Tami, am I ever! I count my blessing each and ever second of each and every day! !